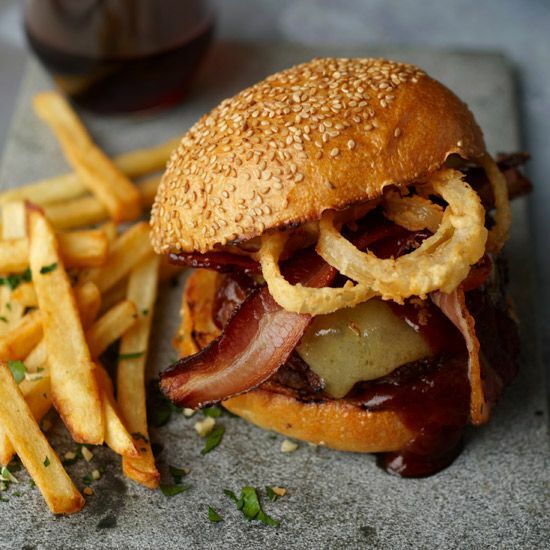 The Brisbane restaurant scene continues to thrive as the much anticipated Black Bird Bar and Grill opened its doors this month, as well as Philip Johnson's gourmet burger venure Howzat. We also discovered Burnett Lane's newest addition, Felix Espresso and Winebar, some exceptional coffee and sandwiches at The Cutting Board, and welcomed Brunswick Street's Francie Mays. The Cutting Board has been quietly impressing Brisbane city folk with their generous, meat-heavy burgers and sandwiches and great coffee from their hole-in-the-wall space on the corner of Ann and George Streets since opening in January. The menu includes such classics as Reubens and breaky burgers with the lot, as well as more creative stacks like The Watson, with rare beef sirloin, jalapenos, basil pesto and The Polish with chorizo salami, sauerkraut and mustard. They also do cuts off the bone (think lamb shoulder, beef brisket, and glazed ham) in either a roll or plate. Speakeasy-style bars are the interior du jour, and the much-hyped Black Bird Bar and Grill has embraced '20s era theming with both hands, incorporating both an opulent Gatsby theme in their 'light' bar, and a prohibition era speakeasy in the 'dark' bar. Black Bird's restaurant offering makes use of its namesake grill, preparing heritage Australian fare before diner's eyes. There's an emphasis on fresh seafood and "rare beasts" here, which makes for a tasty and exciting dining experience. Black Bird offers a unique experience and is definitely a new Brisbane restaurant to add to the bucket list. When Philip Johnson does a pop-up burger shop, you know it's going to go viral. When said pop up opens its doors permanently, the result is a lot of very happy burger fans. Howzat, housed in e'cco's bar under the iconic Brisbane restaurant on Adelaide Street, has a classic, gourmet selection of burgers on offer, as a well as great sides, wine, beer, and milkshakes. The best part? These decadent burgers will only set you back 10 dollars. Gorgeous gardens and a top-tier chef make Wild Canary in Brookfield well worth the short drive from the city. With a very fresh breakfast and lunch menu that focuses on locally grown produce (like, really locally grown, as local as their own garden), and sweet treats baked on site by their in-house pastry chef, Wild Canary is a must-try. 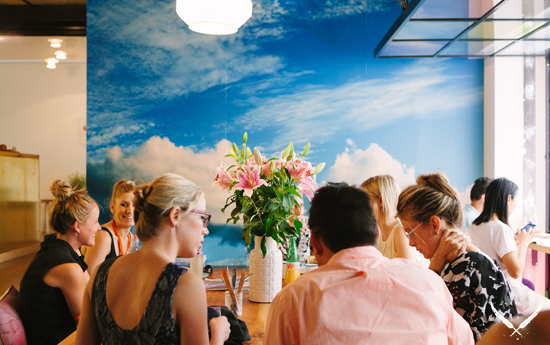 The latest cool kid on the Burnett Lane block is Felix Espresso and Winebar, which can be spotted from the street by a mosaic of coloured glass, while a sky mural in the interior makes this hidey-hole space a welcome reprieve from the city streets. Step inside their sunken dining area for delicious food with a healthy twist and a focus on locally sourced produce, great organic coffee, and stay tuned for their upcoming liquor license which will be coming into play in the next few months. You can read our review on Felix Espresso and Winebar here. Occupying the space that once held the sorely missed Alibi Room comes a highly competent replacement, Francie Mays. With a fresh and very modern Asian inspired menu that includes the likes of bahn-mi pulled pork sliders, DIY Peking duck pancakes, and sticky plum pork belly, this bar and share plate spot has two levels for dining and drinking, with a larger space downstairs and more intimate dining options upstairs. They also do breakfast, Japanese inspired lunch options, great cocktails, all mixed up with a hint of self-deprecating humour (e.g. an Asian venue that refers to its fried rice as 'flied lice' is ok by us) that makes Francie Mays a welcomer newcomer.